The blank walled fortress paradigm is dead! 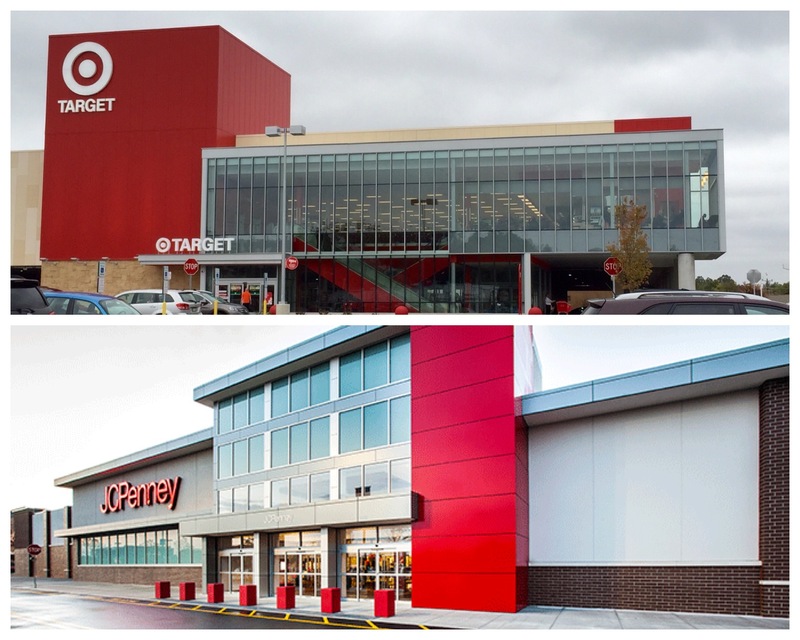 After sixty years of blank walled-off fortresses department stores are introducing glass facades into their stores and reconnecting to the communities they serve. 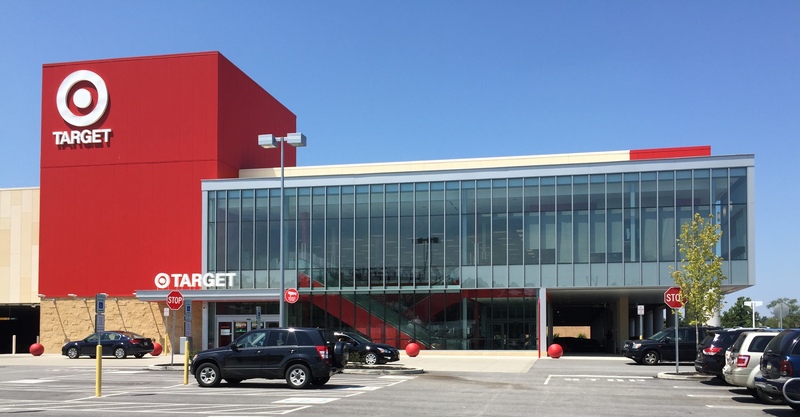 Target known as the design leader among the mass merchants has been innovating for years with the their prototype and recently opened the King of Prussia store shown above with a glass curtain wall. JC Penney, an industry follower and emerging from a disastrous few years under the direction of Ron Johnson of Apple fame, have opened their first store in two years in Brooklyn. Both of these examples illustrate a trend toward more glass, increased transparency and re-energized community connection. Victor Gruen credited with creating the modern mall archetype loved inward looking closed off malls and public spaces. His goal was to turn away from the “ugliness of the strip” and create a totally controlled environment. This paradigm worked during the fifties and sixties suburbanization of America, but lost its relevance at the turn of the twenty-first century when specialty merchants wanted their front door and sign to face directly to convenient parking and to the street. This helped merchants compete head-on with mass-merchants and to serve time-starved customers who wanted the convenience of quick in-and-out shopping experience. The result has been malls turning themselves inside-out, animating their facades with transparency and retail activity facing the street. Bottom Line: Transparency is returning the department store to its roots when they were located downtown and run by family dynasties such as Gimbal, Strawbridge & Clothier, Wanamaker and Carson Pirie Scott; The family dynasties are long gone but some of their ubiquitous structures are being re-purposed. 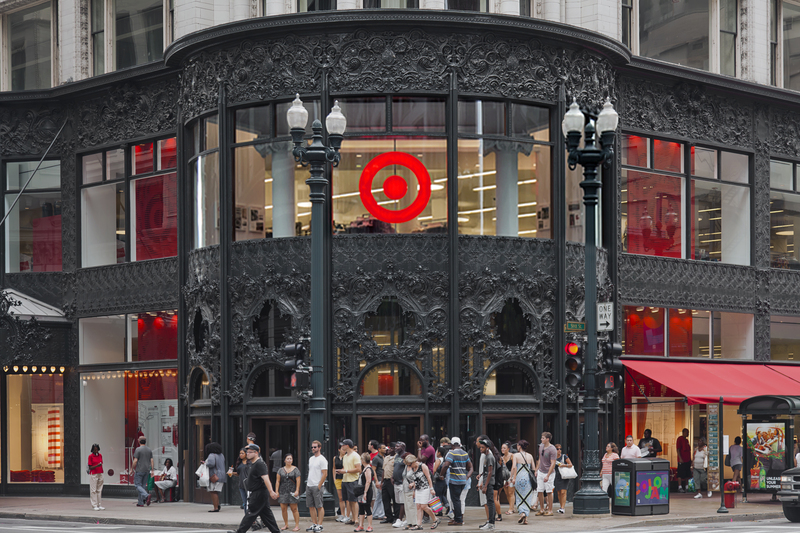 Target recently opened a new urban store in Louis Sullivan’s Chicago master piece. The fifties ushered in and era of urban flight, the early twenty-first century is about the race back into the city. Retail transparency is here to stay. Next Drexel Banishes the Brick!